‘In Transition’: now available to view, in full, free, online! 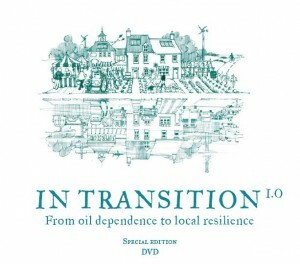 ‘In Transition’ is now available to view in full on YouTube (apart from Part 3, following soon)… don’t forget that you can also buy copies of the DVD which feature the film itself as well as hours of wonderful Transitioney extras; find out more here. Anyway, sit back and enjoy. We love it. The systems and institutions we rely on for survival are at risk of massive failure. Peace, justice and sustainability demand completely new systems of economics and governance and if humanity is going to survive we must create them. Those who benefit most from the present system are not going to do this for us. We must work together to create new models and systems that encourage a ‘tipping point’ in which cooperation and collaboration supercede competition. If you’re working on a project that seeks to create the systems needed for a just and sustainable world we’d love to hear from you. Transition Network was set up in spring 2007 to support Transition Initiatives around the world. This Who We Are and What We Do document gives what we hope is a clear picture of our intention, principles and practices and how the wider network of transitioners is developing. This document will be updated from time to time – it reflects an organisation that is evolving in world that’s in somewhat of a state of flux.